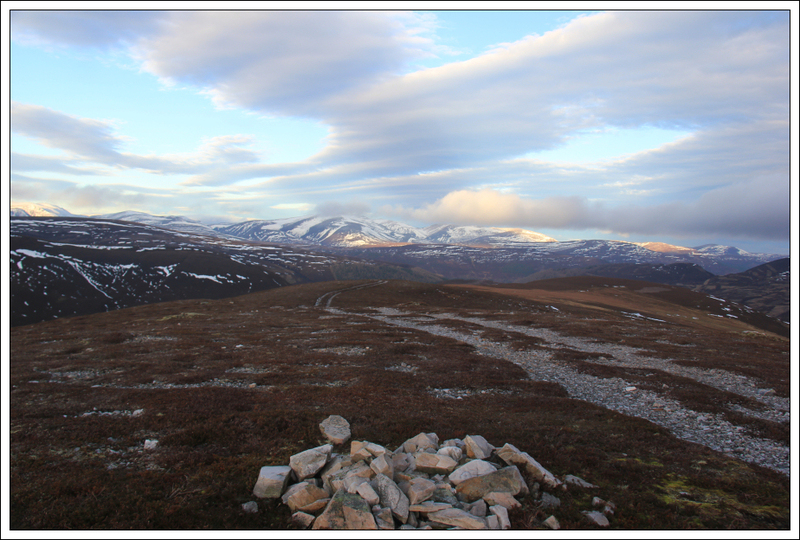 On discussing potential plans on Friday evening, I really liked the sound of a route suggested by Ray that would take in Carn Bhac and a number of its subsidiary tops. On Saturday, it was great to accompany not only Ray but also Dave, Alan, Drummond and Ella on what turned out to be an excellent walk. 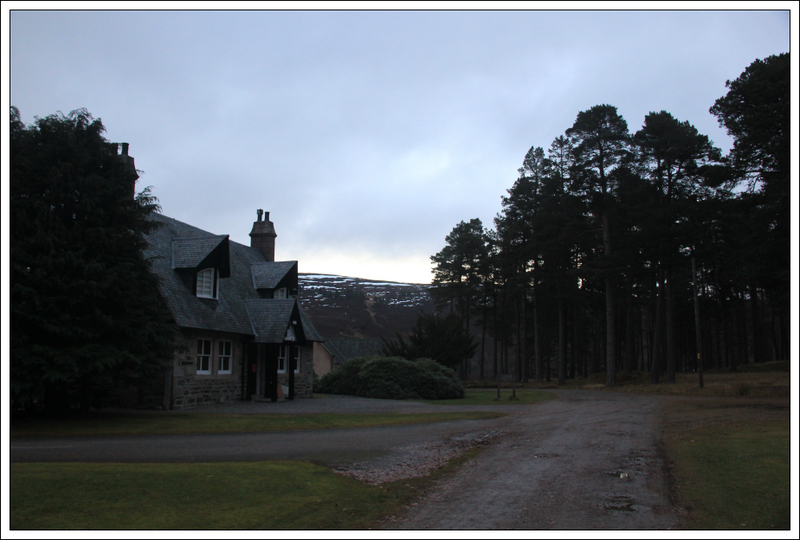 At circa 08:50, we set off walking from our base at Muir Cottage towards the start of the track that would lead us up through the forest to Creag a’Chait. 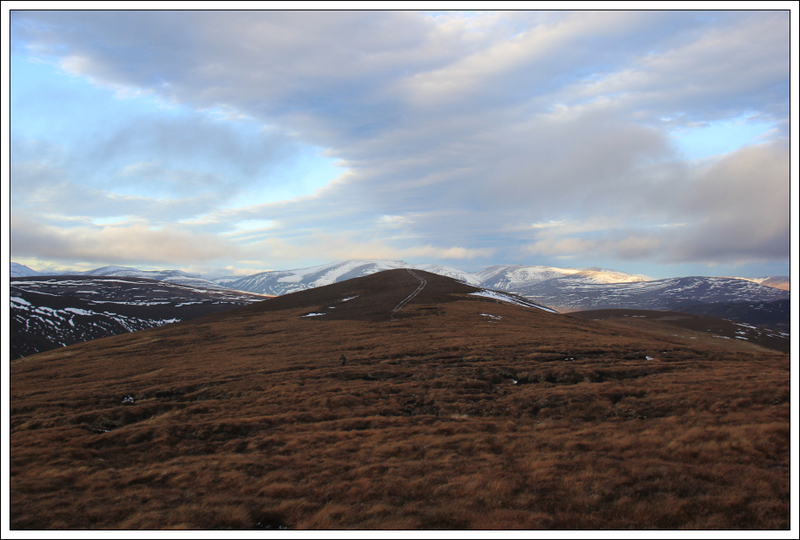 Once out of the forest we were treated to excellent views across to Beinn a’Bhuird and Ben Avon, along the River Dee and also to Morrone which was quite conspicuous owing to its summit transmitter. The early morning sky was quite beautiful. 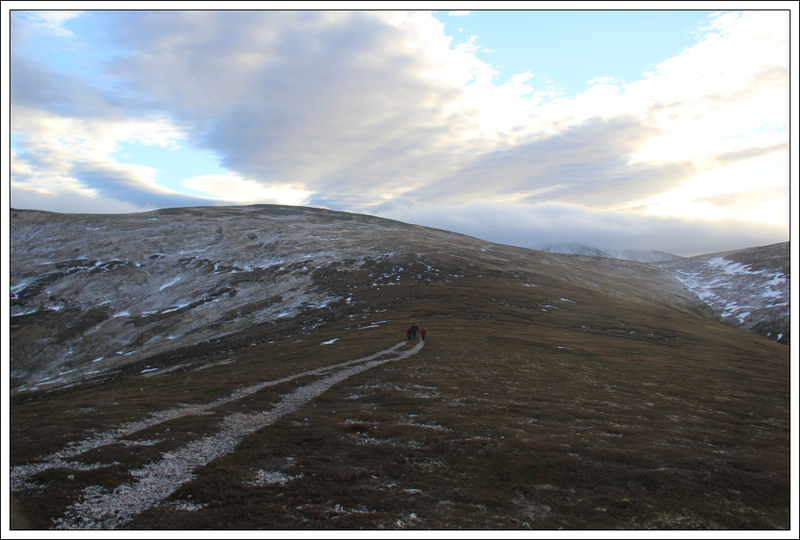 Beyond the track marked on the map we followed an unmarked track to Carn na Moine and then onto Carn Liath. 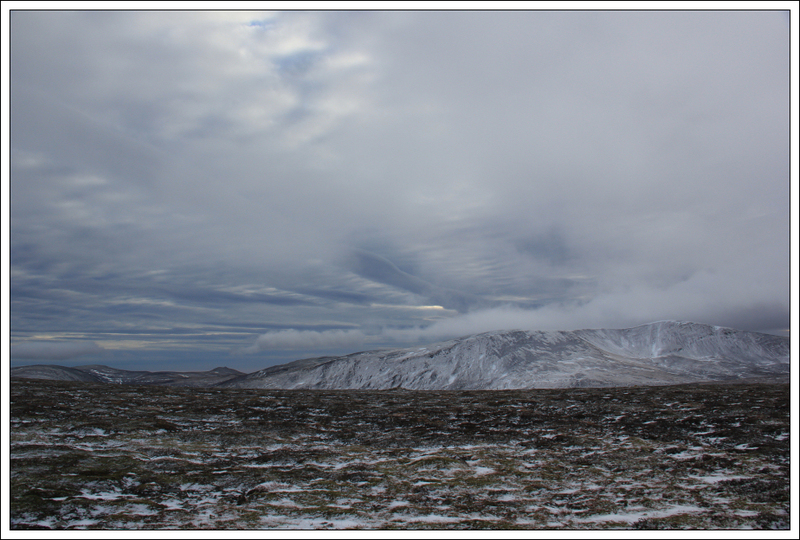 It didn’t take long to reach the twin tops of Carn na Moine. 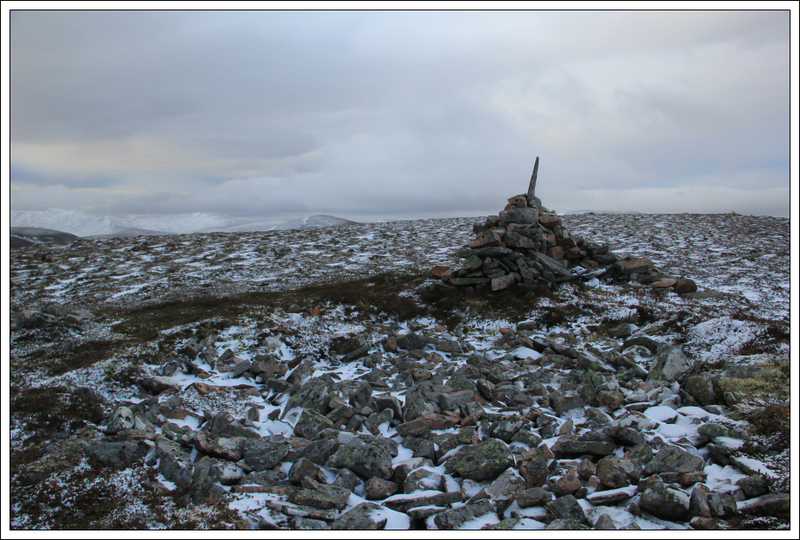 The 755m top has a large cairn however the other nearby top is allegedly five metres higher. 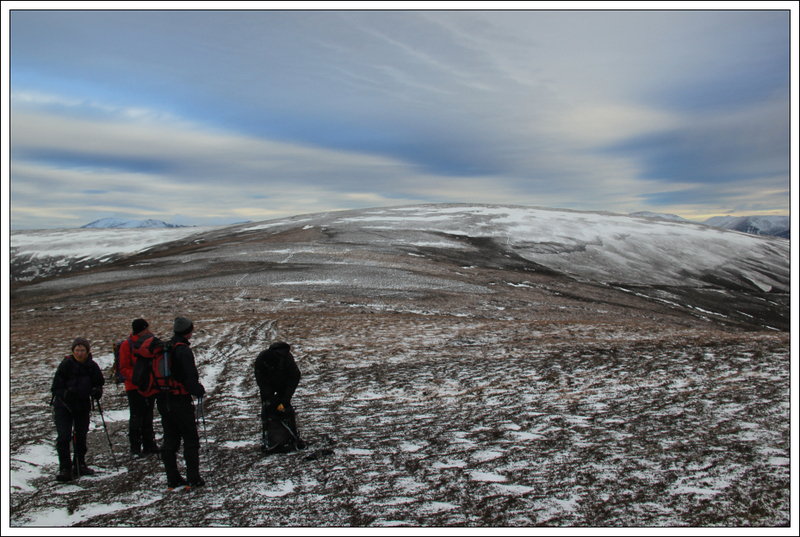 During the ascent of Carn na Moine, we stopped several times to look at the fantastic view of the Cairngorms. 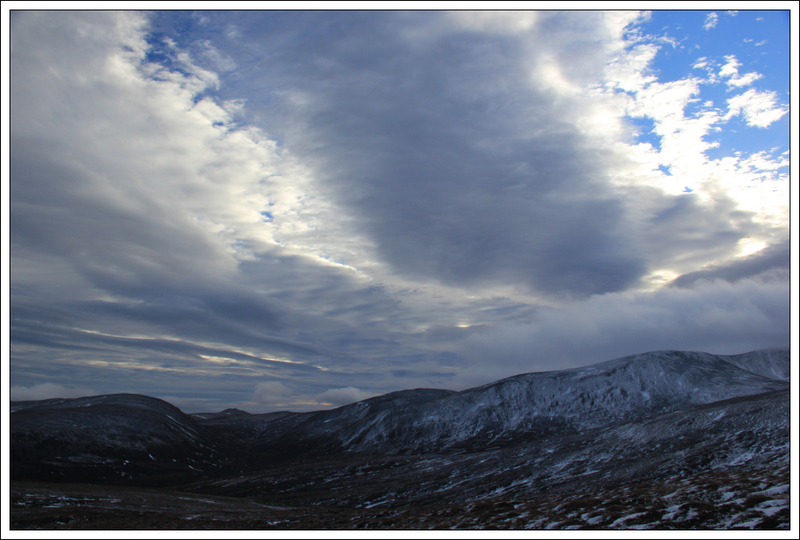 Carn na Moine must be one of the best Cairngorms viewpoints. 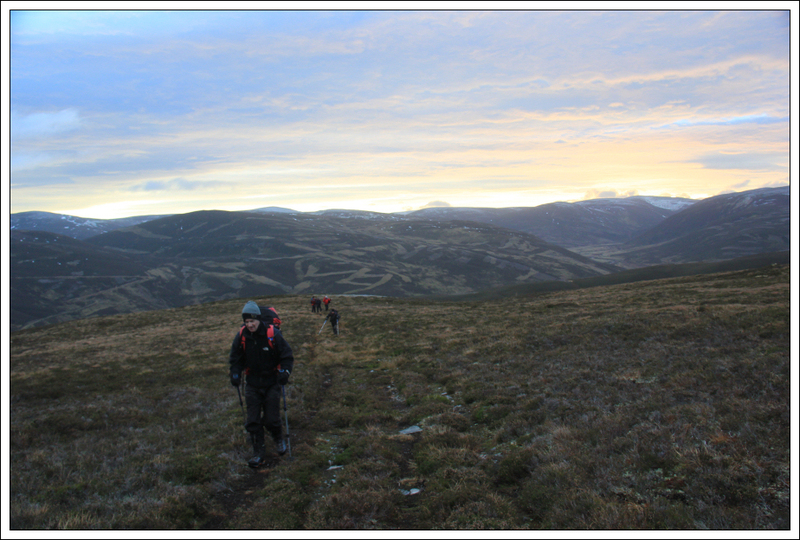 We were able to identify Monadh Mor, Beinn Bhrotain, the Devil’s Point, Cairn Toul, Angel’s Peak, Braeriach, Ben Macdui, Derry Cairngorm, Beinn Mheadhoin, Beinn Bhreac, Beinn a’Chaorainn, Beinn a’Bhuird and Ben Avon. 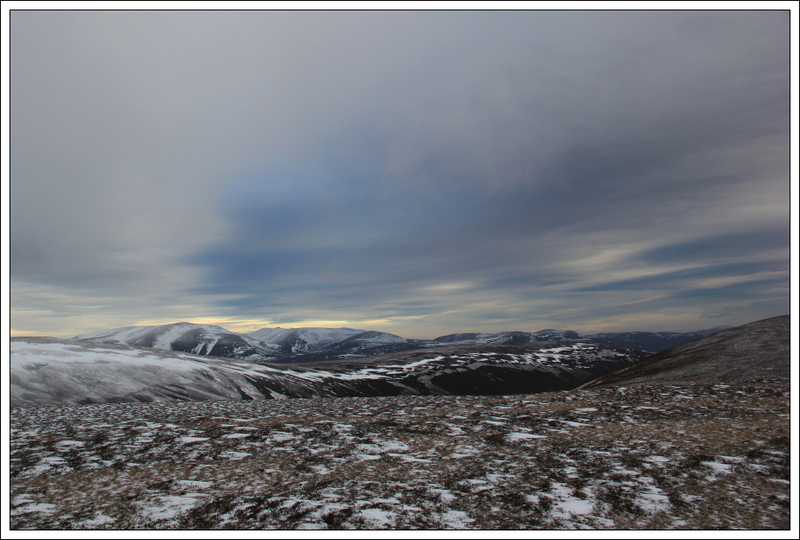 As well as getting excellent views of the southern Cairngorms, we also got fantastic views East towards Morven and also Lochnagar. Throughout the day we encountered little more than a dusting of snow. We all had axes with us but they stayed firmly attached to our rucksacks. 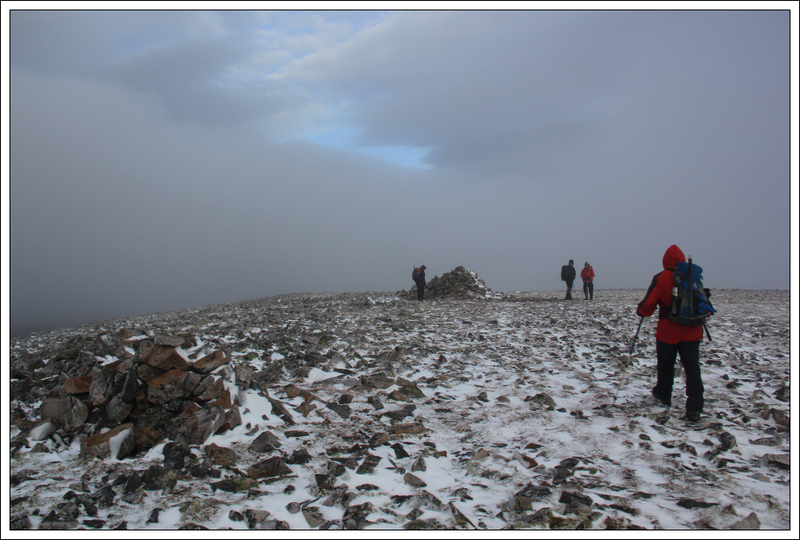 At the summit of Carn Liath, which is a Corbett Top of the Munro Carn Bhac, we headed South to pick up a track leading to Geal Charn via two unnamed tops of height 788m and 801m. 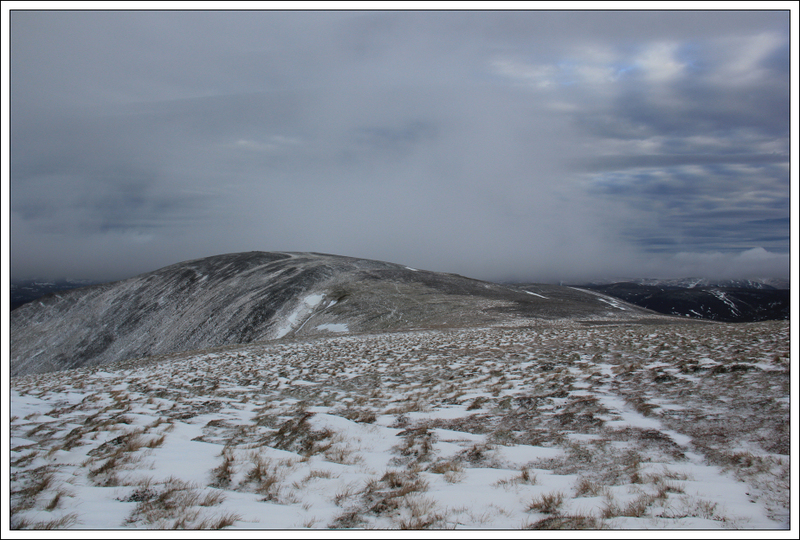 As we continued southwards we progressed out of the nice clear weather into clag. 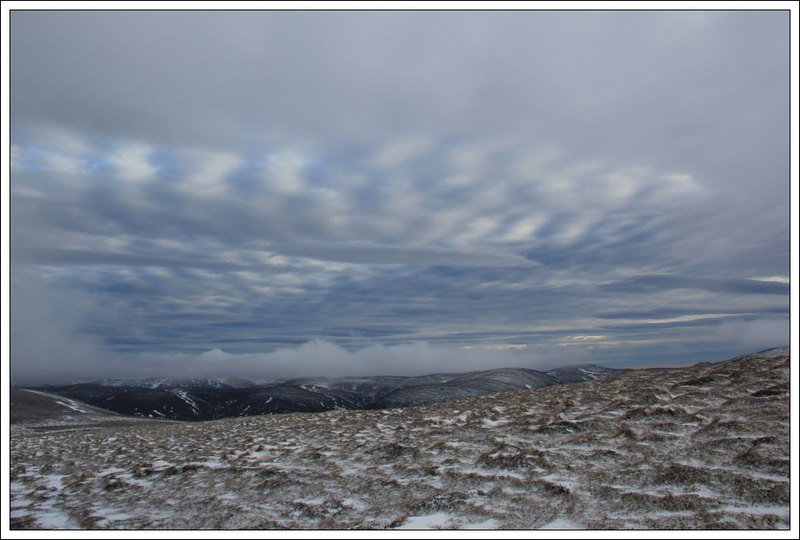 Dave optimistically told us that we would soon be out of the clag and getting good views again. He was correct ! 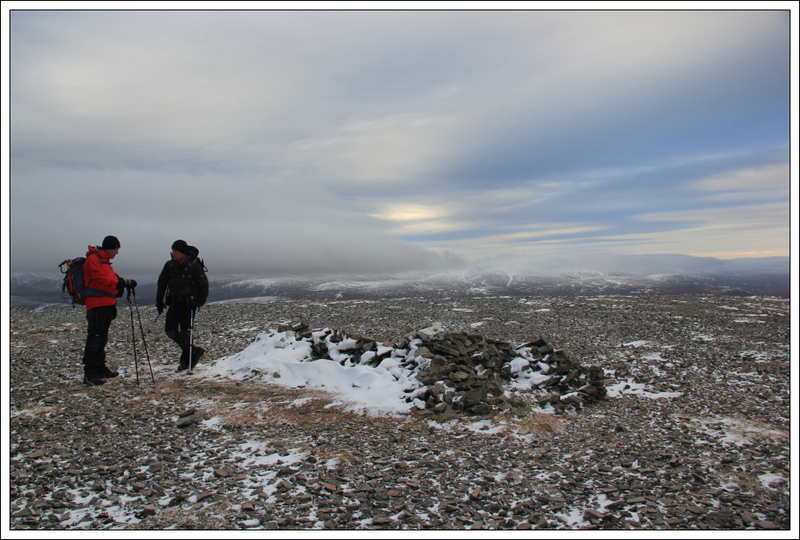 At the summit of Geal Charn, myself and Drummond had a chat about what hills we were seeing further South. 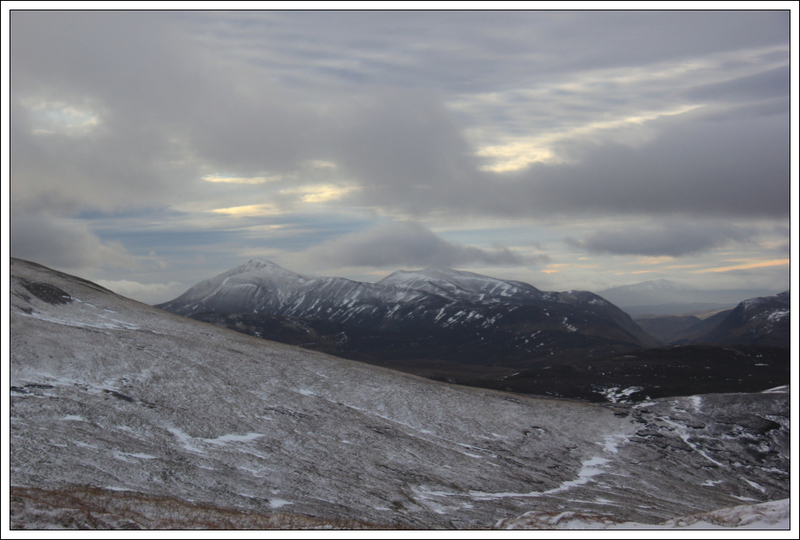 I thought the large mountain in the next photo was Beinn a’Ghlo and from subsequently checking the map that would appear to be correct. We were not sure however of what hill we were seeing in the distance. 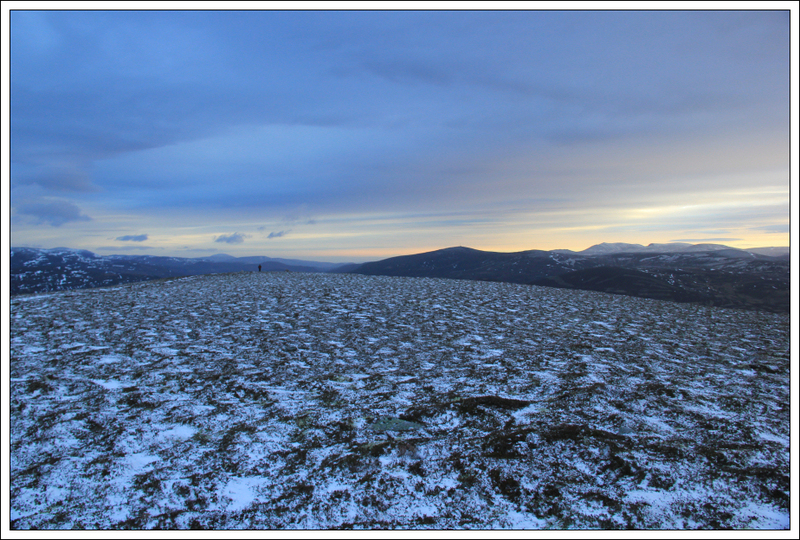 From subsequently looking at the map, I believe it to be Schiehallion. 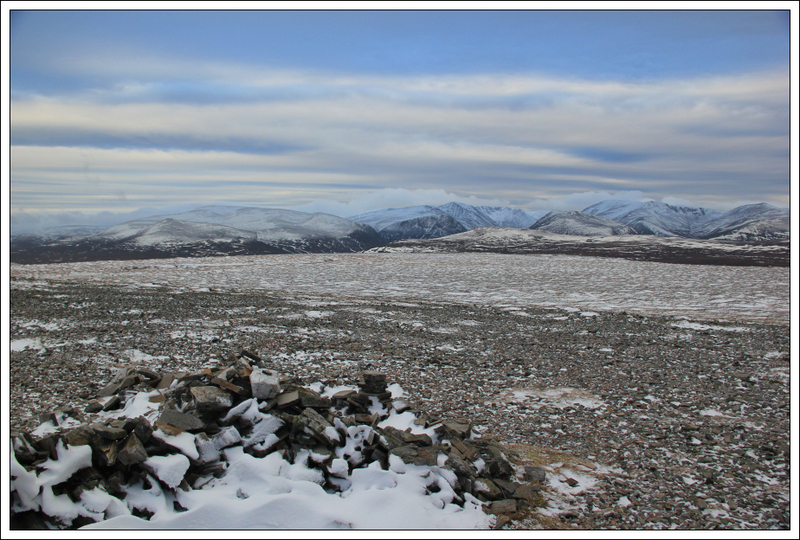 From Geal Charn, which is also a Corbett Top of the Munro Carn Bhac, we continued onto the South-West Top of Carn Bhac which is a Munro Top. 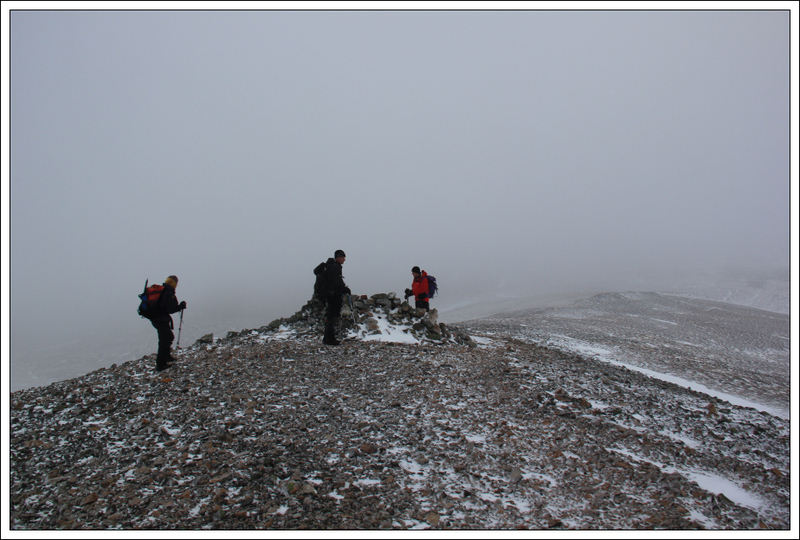 As we approached the summit we could see Jake, Graeme, Donnie and Penny TWD already at the summit. It was nice to stop for a brief chat before continuing on. During the descent from the SW Top of Carn Bhac we decided to stop for lunch in a small dip that was mostly out of the wind. 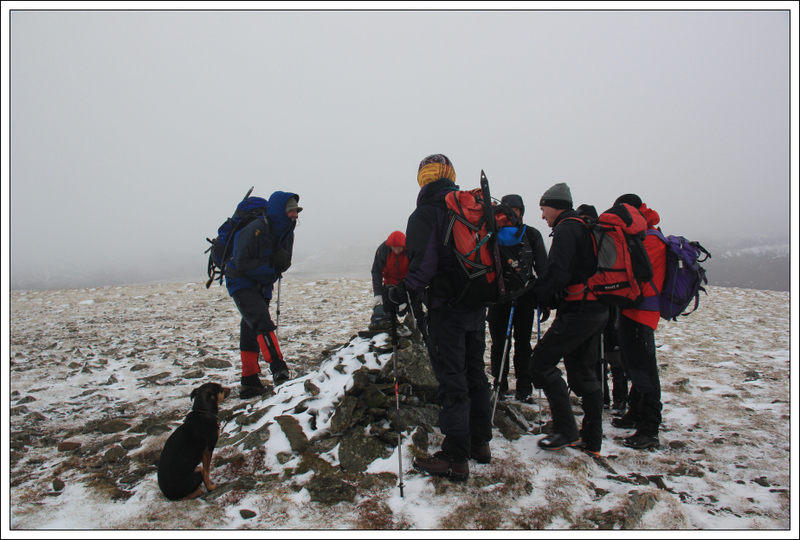 After a bite to eat and a hot drink, we continued onto the summit of Carn Bhac. 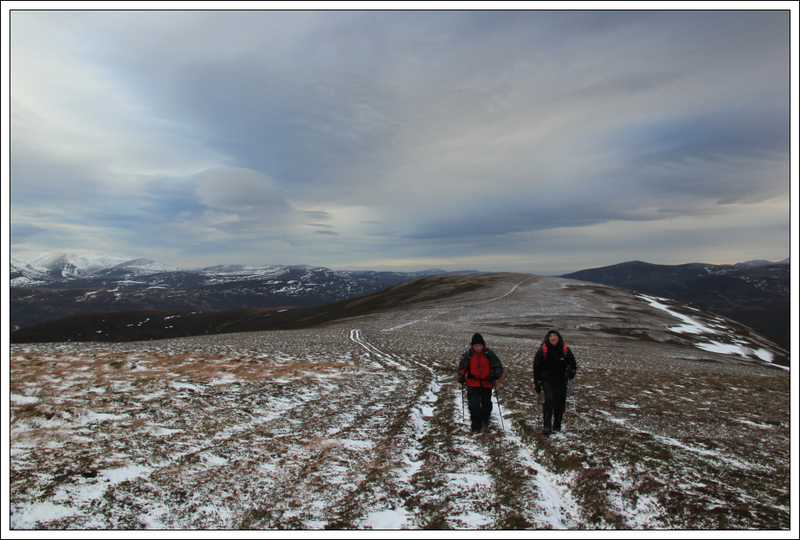 From the summit of Carn Bhac we descended to the col between Carn Bhac and Carn Creagach and then skirted round Carn Creagach haggis-style to pick up the start of the land-rover track just below the 731m hill. 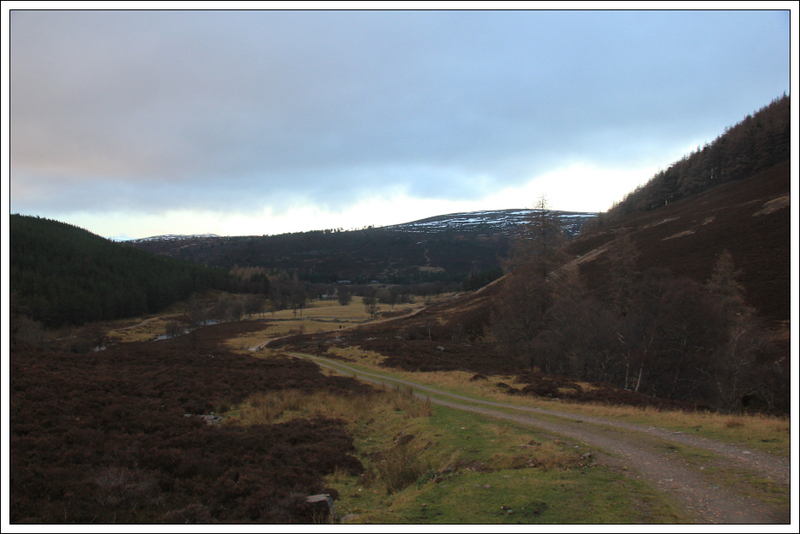 It was nice to reach the start of the track leading down to Auchelie. It was quite windy at the 731m summit. 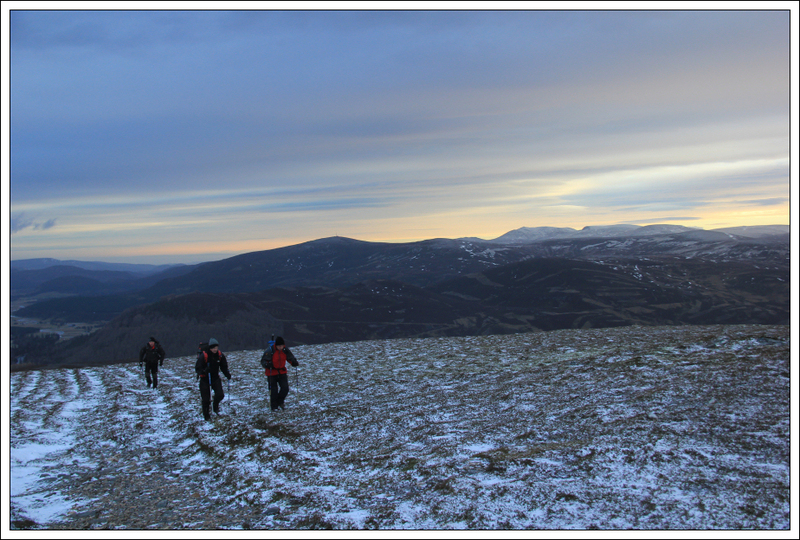 The descent to Auchelie was nice and easy along a good track. 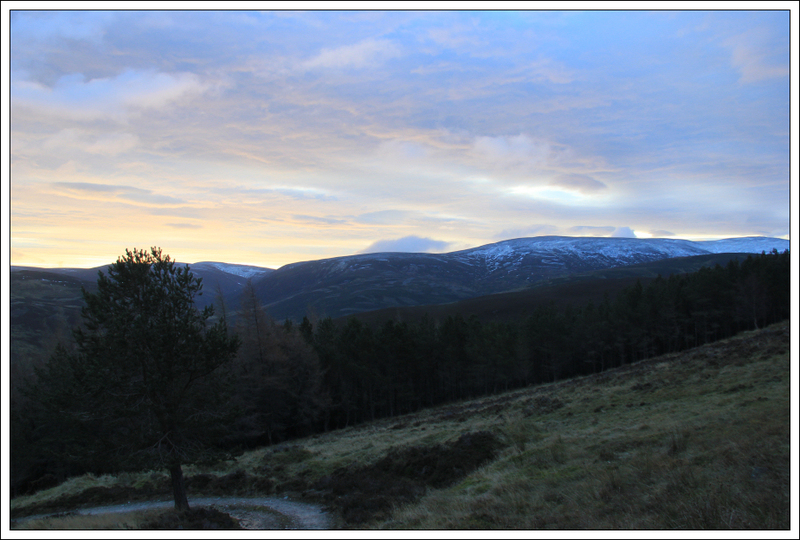 On reaching Glen Ey, I took a short diversion to see the Colonel’s Bed. On this occasion I didn’t bother climbing down to the base. I have been down twice previously. 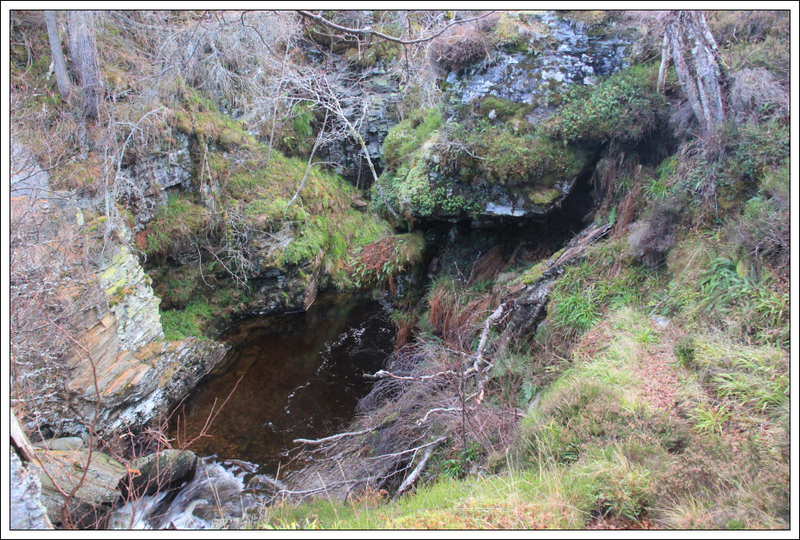 The highlight of the walkout to Inverey was at the bridge over the Ey Burn. A dipper was sitting on a rock right next to the bridge so I got a real close-up view. 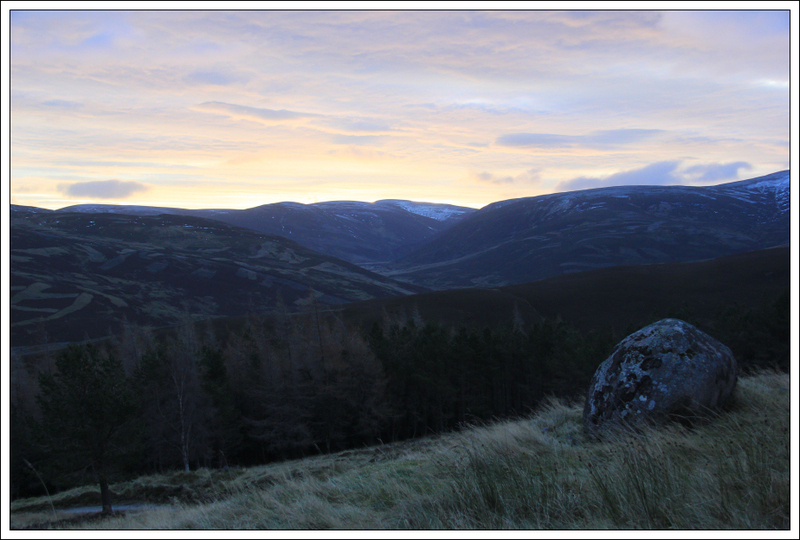 However by the time I got the camera out and switched on it had flown away. 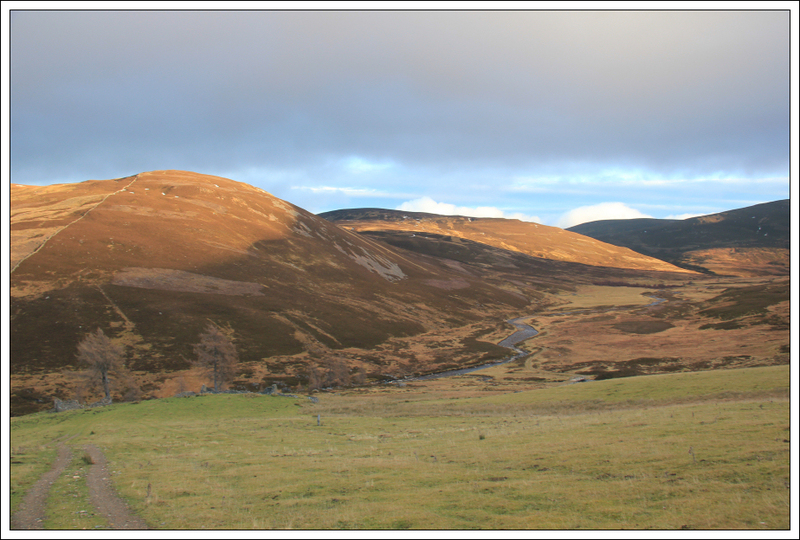 On reaching Inverey, we walked a short distance back along the road to Muir Cottage. 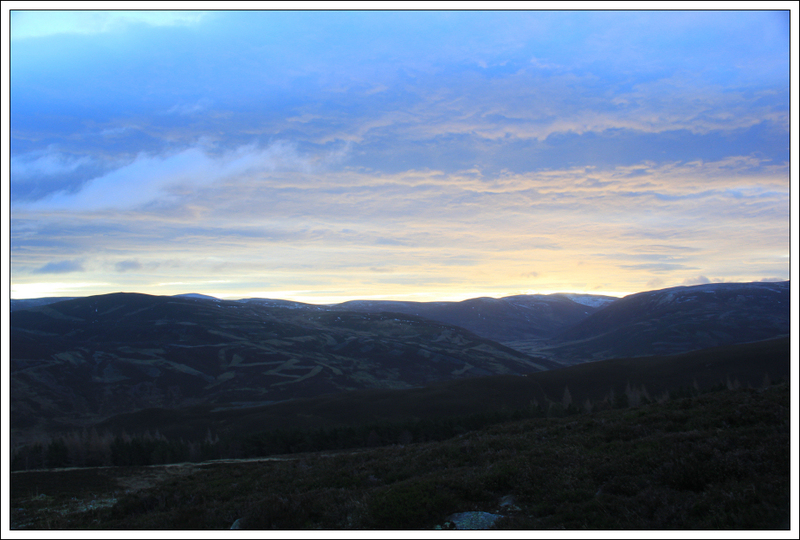 This is an excellent circuit providing fantastic views into the southern Cairngorms. 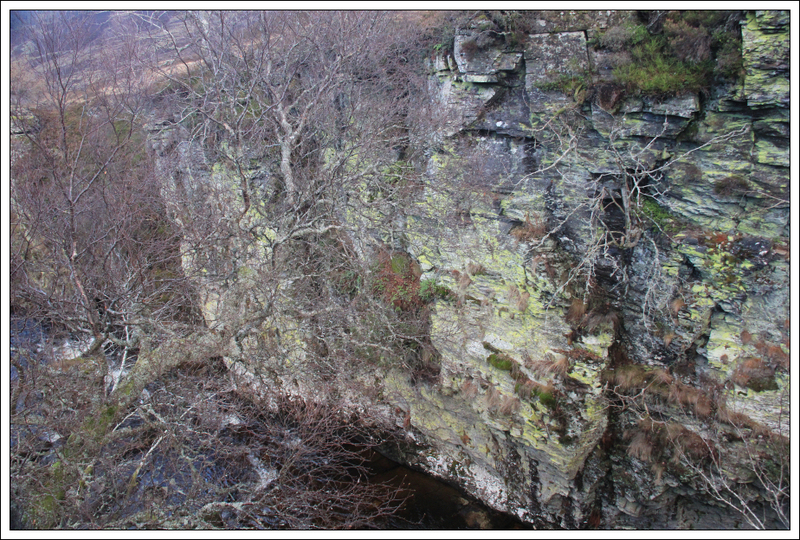 Thanks to Ray for coming up with the excellent route.